Emotional support animals provide important therapeutic benefits to their owner’s through companionship, emotional support and psychological comfort. Typically an individual will opt for the services of an emotional support animal, or ESA if they need such animals to help with psychiatric disabilities or other mental impairments. In fact, many people who rely on emotional support animals would miss out on many aspects of daily life that others may take for granted. For example, an ESA can help an individual with severe anxiety move through public places by providing emotional reassurance. A dog wearing a service dog vest and accompanying its owner in a grocery store is a common sight. However, we’re starting to see other animals serving as emotional support animals—to varying degrees of success. If It Has an Emotional Support Animal Vest, It’s an ESA—Right? The issue is that emotional support animals, while beneficial to those who are comforted by them, are not supported by the Americans with Disabilities Act (ADA). Dogs are often seen in this capacity; however, the presence of these other animals might cause more anxiety and unrest than they intended. How Do Emotional Support Animals Help People? Many often confuse emotional support animal laws with service animal laws. There is a distinct difference between the two. 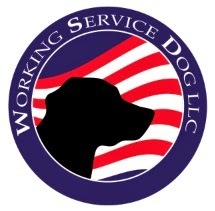 Service dogs, including seeing-eye dogs and dogs that aid with disabilities, are supported by the ADA. However, emotional support dogs are typically used to ease anxiety and do not assist with disabilities. They let their handlers feel a sense of comfort in public spaces such as stores, restaurants, and even airplanes. But not everyone is a “dog-person,” and so they’ve turned to the aforementioned pigs, rabbits, and reptiles to serve as their emotional support animals. Unfortunately, when it comes to having animals in public places, not everyone is on the same page. The differences between ESA and service animals and vague ESA laws only complicates things. Emotional support animal vests help avoid confusion and conflict. They allow the general public to accept ESAs of all kinds. So long as your animal is well-behaved and providing support for you, few would object to its presence. No matter what animal you have, it can provide you with emotional assistance. But without a clear visual indicator such as a vest, you could be in for some anxiety-inducing confrontations. An emotional support animal vest helps you avoid this.